Hi. I call myself Rainier most everywhere including KGS and http://www.goproblems.com. I first learned go in Feb. 2003, but didn't really start playing until Sept 2004. I continued playing through Dec. 2004 but ended up quitting and began playing World of Warcraft (2 yrs of my life, gone). I didn't really come back to Go until Feb. 2007. 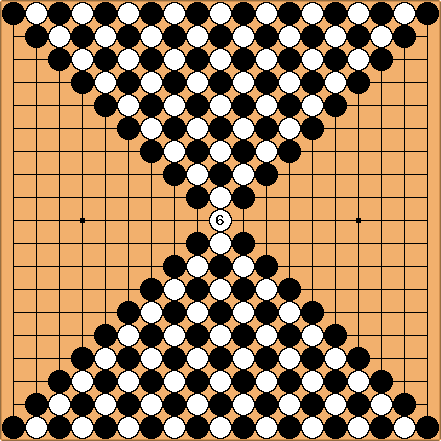 This time I played until May 2007 (achieved a rank of 7 kyu KGS) before losing focus. It's now March of 2008 and I'm back and am currently working my way to 5kyu. In total I have about 8 months of actual playing experience between quitting to play World of Warcraft and studies. I'm from Richmond, Virginia, and am currently looking for players around here (I'm in the VCU area). If you're interested, look me up on KGS and leave a message or email me at rutherfordjr at gmail dot com.